Jenga is such a fun game to play in the classroom to review different tasks. 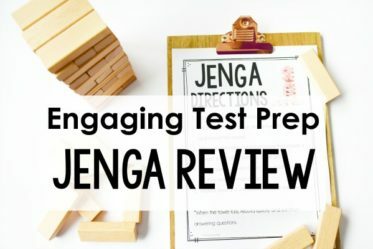 Click here to read more about how I use Jenga for test prep review with any set of task cards. In addition to using Jenga for test prep, I also like to use it to review specific skills. 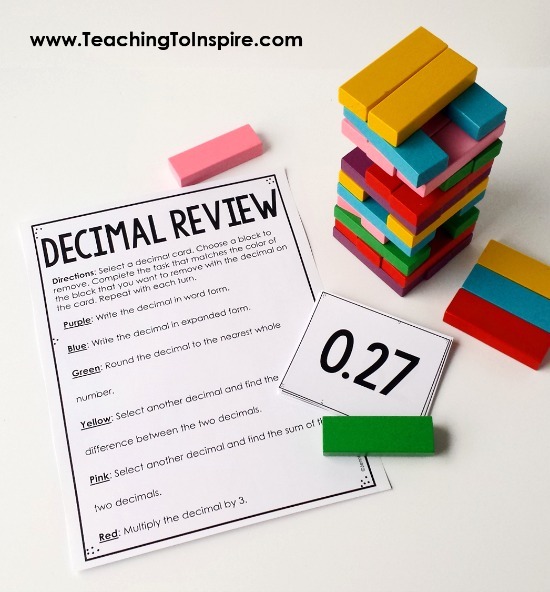 With the colored Jenga blocks, I created a fun decimals game that works great for reviewing 4th and 5th grade decimal skills. 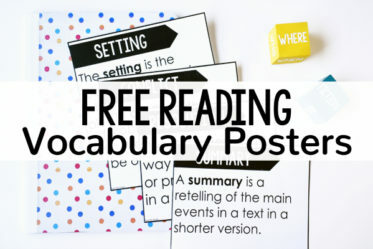 Read more to learn how to play the game and grab the printables. Related: Free Fraction Game with Jenga. 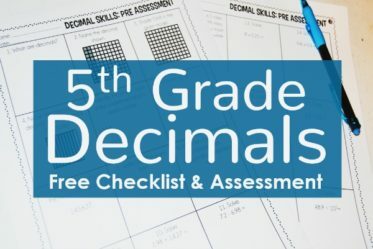 Decimals Game Printables —> Available for free at the end of this post. 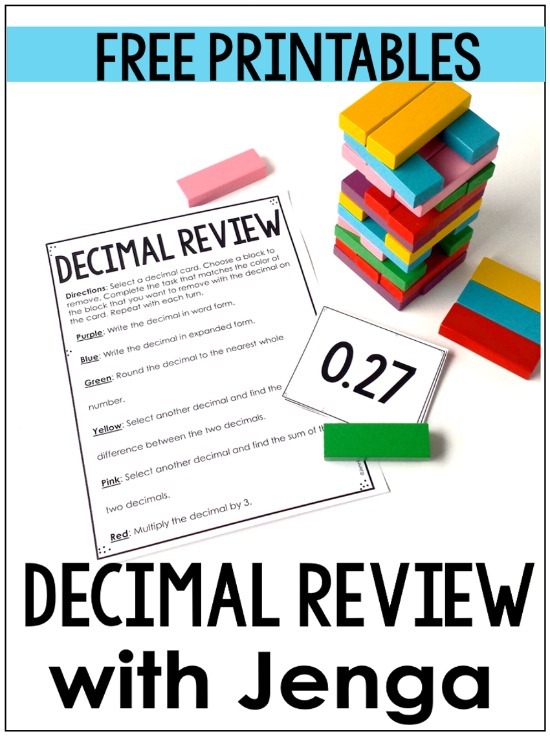 The gist of the game is the students will select decimal cards and then depending on the color of the block they move, they will complete a different task with the decimal on the card. Directions: Select a decimal card. Choose a block to remove. Complete the task that matches the color of the block that you want to remove with the decimal on the card. Repeat with each turn. Purple: Write the decimal in word form. Blue: Create/shade a model of the decimal. Green: Select another decimal and compare the two decimals using <, >, or =. Yellow: Write the decimal as a fraction with a denominator of 10 or 100. Pink: Determine if the decimal is greater or less than 0.50. Red: Plot the decimal on a number line. Blue: Write the decimal in expanded form. Green: Round the decimal to the nearest whole number. Yellow: Select another decimal and find the difference between the two decimals. Pink: Select another decimal and find the sum of the two decimals. Red: Multiply the decimal by 3. 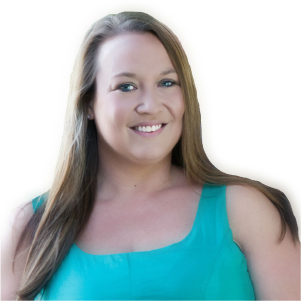 As the teacher you have a few options or additional rules you can implement for accountability and classroom management. Here are some tips I recommend considering. 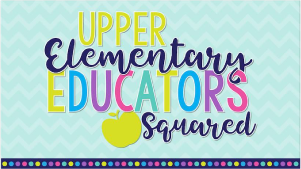 To ensure all of the students are working (versus one student working and the others watching), have all of the students choose their color block (or roll the dice included with the games to see what color they will have to move), choose their decimal card, and complete the required task. After all of the students have completed their required tasks, they can then each take turns moving their piece. Then they will repeat these steps with a new decimal card, a new color, and a new task. 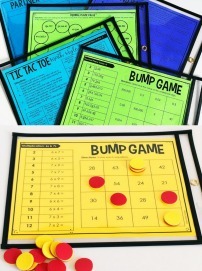 This will keep the game moving at a quicker pace and keep all the students engaged and on task. I recommend no more than four students working with a Jenga game at a time. 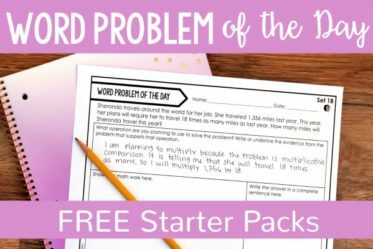 You can have the students use a blank piece of paper or use the recording sheet included in the free printables. 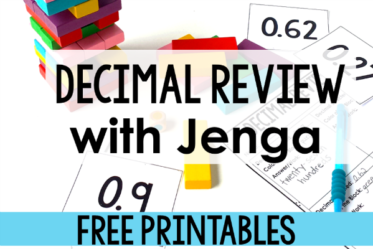 How Can I Get this Jenga Decimals Game for FREE? 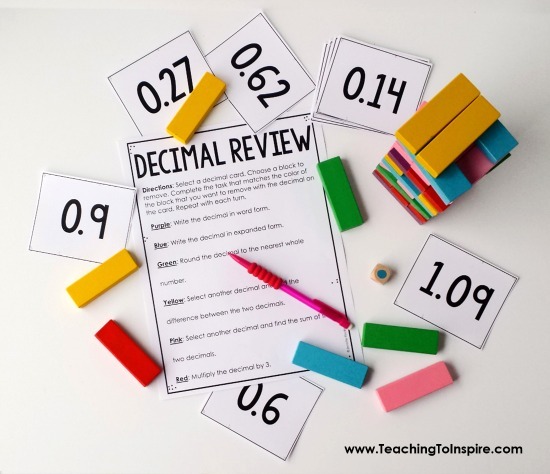 Click here to download the decimals game printables. The Jenga blocks I used can be purchased from Amazon here. 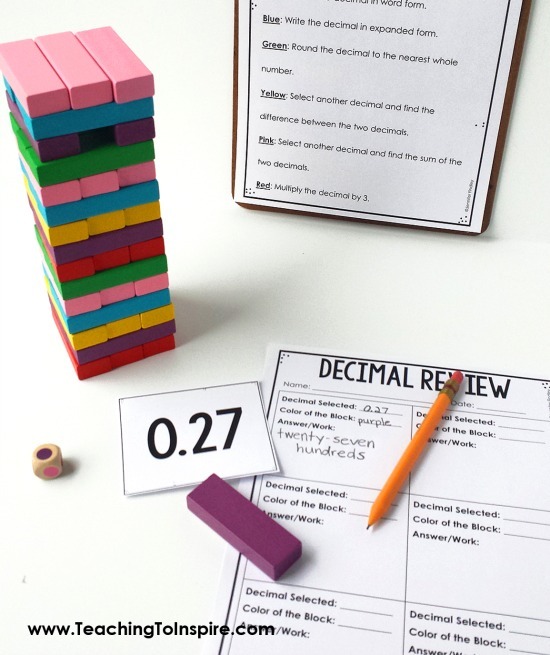 This decimals game would make a great whole group game (if you have multiple sets of the Jenga blocks). 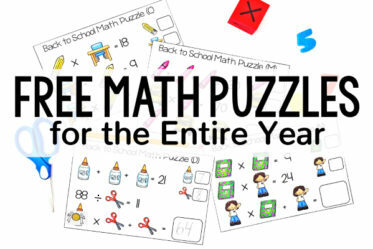 However, it also works great as a math center. 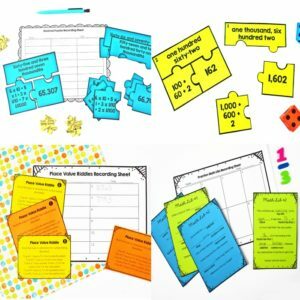 If you need more math centers for 5th grade, click here to see my go-to math centers and grab free samples. Great idea! 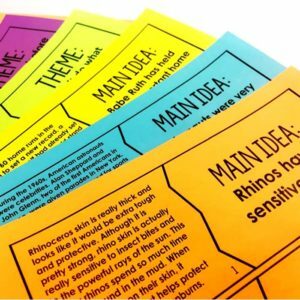 I have several sets of those colored blocks, and this would be a great morning choice activity for my 5th graders. Thank you! Hi Shauna, what a great idea for a morning activity! The students would love to start the day with this. I hope they enjoy it! Fabulous Idea! I always love the fact that your resources and advice is so practical to use. 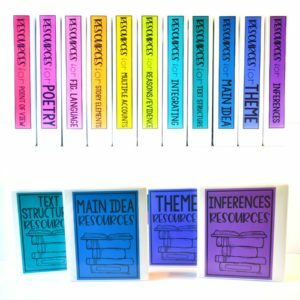 I can always envision my students using your resources/advice when I hear your clear and concise directions. Thank you for sharing your knowledge with the world.